This multifamily, age-restricted community is located 35 miles from downtown Atlanta in the heart of Peachtree City, Georgia. Peachtree City is a planned community that is renowned for its 90+ mile network of golf cart paths. Towne Club has included 36 underground, enclosed golf cart parking stalls and six additional exterior charging stations. Residents may access the 90+ miles of golf cart/walking paths located in Peachtree City via the properties perimeter path and through the tunnel under Crosstown Drive. 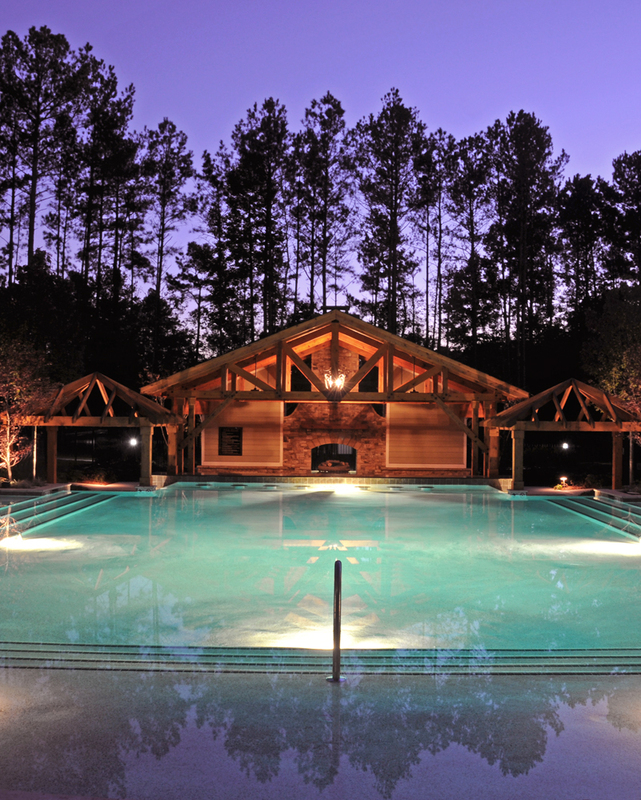 The philosophy and vision of the Towne Club at Peachtree City was to create a sense of community for its residents. The community’s amenities, which include a saltwater swimming pool, dining room with commercial kitchen, aerobic room, urban vegetable garden and spa, are centrally located for both ease of access and social enhancement of the residents.